Why does my bird need fruits and vegetables? 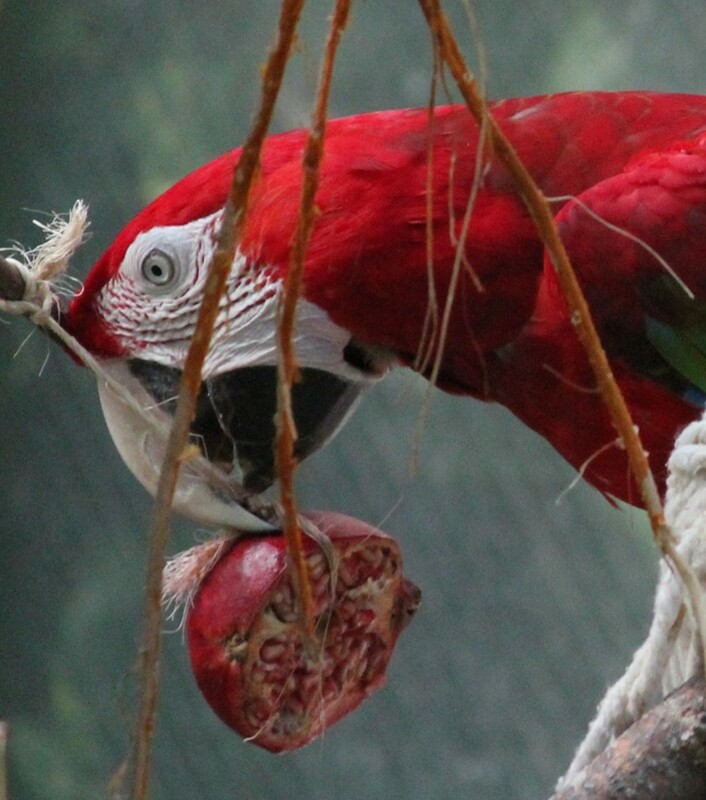 Birds should eat fruits and vegetables for the same reasons humans should - better nutrition. Fresh foods are especially important for birds on a seed-based diet, because they provide nutrients seeds lack. Birds on pellet-based diets should have some produce as well, since the vitamins and minerals in real food are more easily utilized by the body. 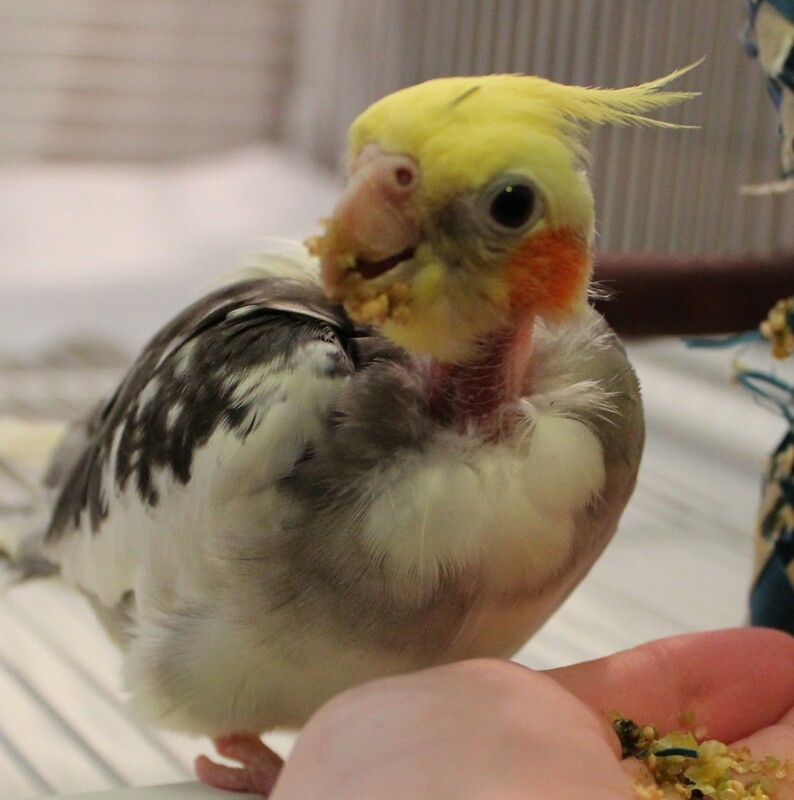 There's also some concern that too many pellets may lead to kidney problems in some birds (especially small birds, such as cockatiels), so fruits and veggies help balance things out. Real foods are also good for variety and add interest to the diet, which is important for a bird's mental health. 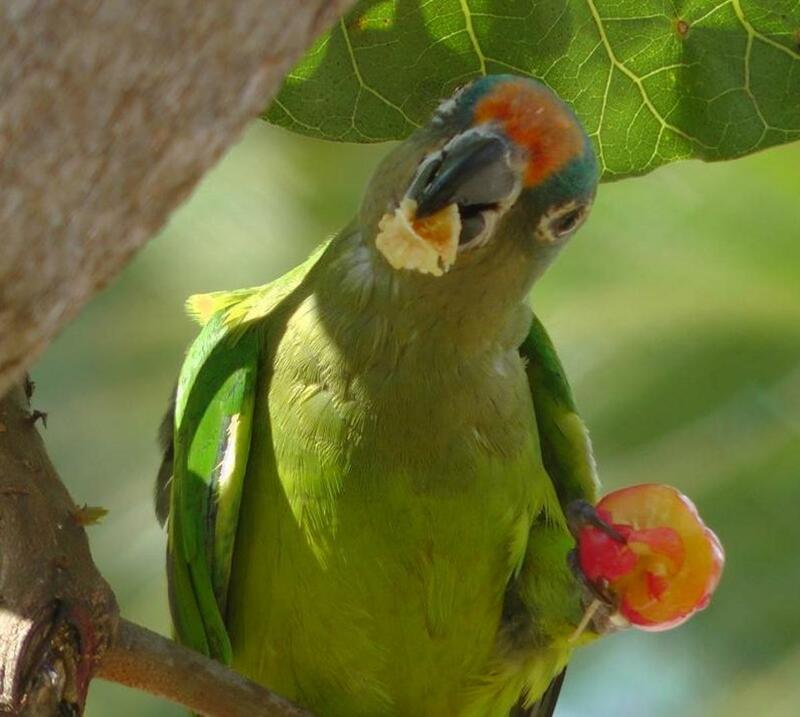 Which fruits and vegetables are safe for birds? As many bird owners know, not everything that's safe for humans is safe for our feathered friends, and that goes for table foods as well. 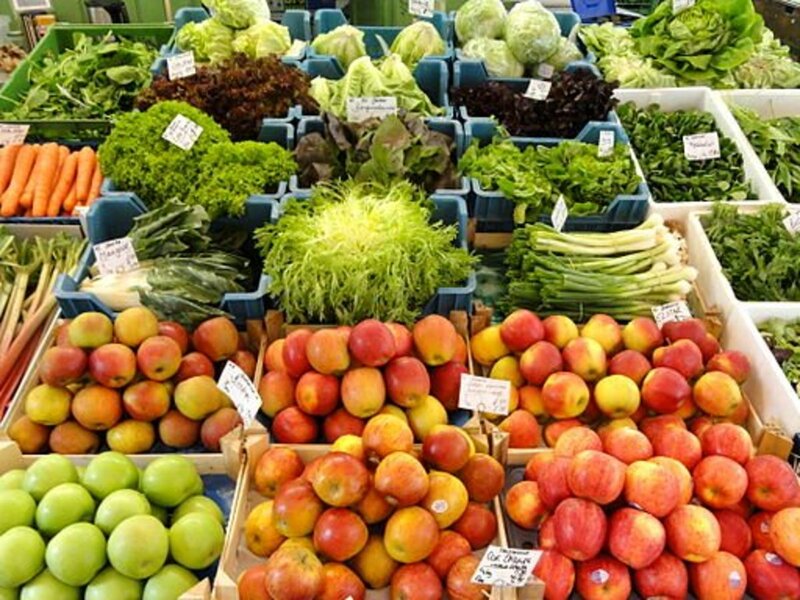 Which fruits and vegetables are safe to offer? Romaine lettuce, kale, watercress, spinach, carrots, carrot tops, sweet potato (cooked), broccoli, peas, green beans, pumpkin, zucchini, bell peppers, corn, apples, mango, papaya, pineapple, banana, blueberries and raspberries are all good. (The list is by no means exhaustive, but I tried to include the most common bird-safe fruits and veggies. If in doubt, check with your avian veterinarian). Celery is okay on occasion, but it's too high in water to offer much as far as nutrition. Also keep in mind that spinach is high in oxylates which can interfere with calcium absorption, therefore shouldn't be served every day. The fruits and veggies to be avoided are: avocado, onion, mushrooms, and tomato leaves (the fruit is okay). Also avoid fruit seeds and pits, as they may contain small amounts of cyanide. Canned vegetables are usually high in sodium and therefore are not the best choice. If you do use canned, be sure to rinse the veggies well before offering them to your bird. Frozen veggies are usually fine for birds, but be sure to read the label and avoid brands with added salt. Mushy or moldy foods should be avoided as well. If you leave fruits and veggies in the cage for your bird, they should be removed after an hour or so because of spoilage. How do I get my bird to eat fruits and vegetables? For many bird parents, getting the bird to eat vegetables and fruits is the hard part. Some people are lucky enough to have birds that eat anything put in their bowls, but birds are naturally suspicious of new things, and some may not recognize the fruit and veggies as food. (My cockatiel, Buzzy, hissed and ran away the first time I offered him a piece of carrot).It may take patience, persistence, and creativity to get your bird to eat veggies, especially if he is older and set in his ways, but it can usually be done. The following methods were recommended by my avian veterinarian, and I had at some success using them with my own picky bird. Eat bits of the food in front of your bird, so that he knows it's safe to eat. Make a big deal about how great it is, and he might become curious enough to take a bite. If your bird already eats treats from the palm of your hand, try offtering a piece of vegetable from your hand instead of putting it in a bowl. Your bird may think it's a treat and give it a try. He may spit it out, but getting him to taste it is usually the hardest part. If he likes it, you're all set (at least with that particular vegetable). Most birds like the taste of corn, and it gets them used to the texture of fruits and veggies, so that might be a good veggie to start with. Just make sure to use organic corn to minimize your bird's exposure to GMOs and pesticides. Broccoli and peas are also good "starter veggies." Peas are seeds, which most birds love, and many birds enjoy picking apart the broccoli heads. 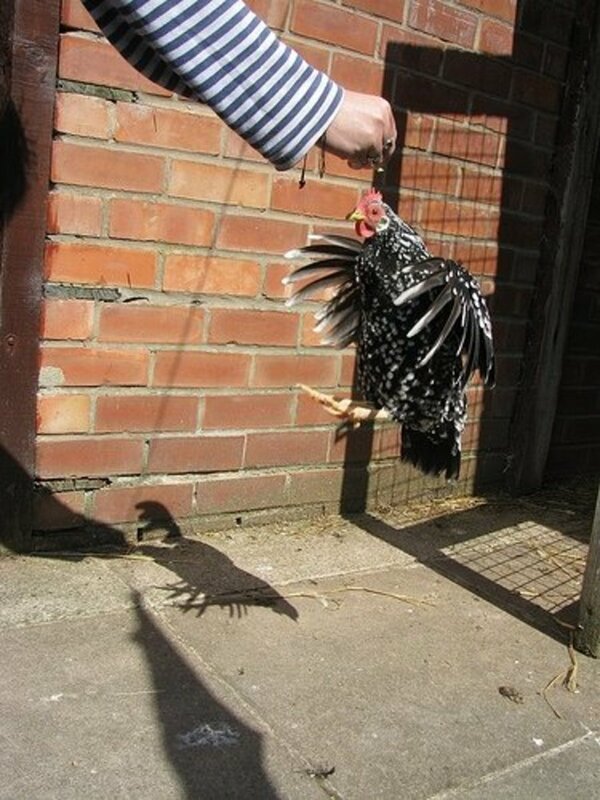 Generally speaking, fresh food is best, but if your bird is resistant to raw produce, you can try cooking it. Cooked veggies are better than no veggies! Some foods, such as sweet potatoes, should be cooked before being offered anyway, and others, such as carrots, have more antioxidants after being cooked. Try chopping the food into different sizes. Some birds prefer large chunks, others prefer tiny pieces. My Buzzy prefers his veggies and fruit pureed into a mush like babyfood. Sprinkle pieces of a food your bird likes on top of the veggies or fruit. 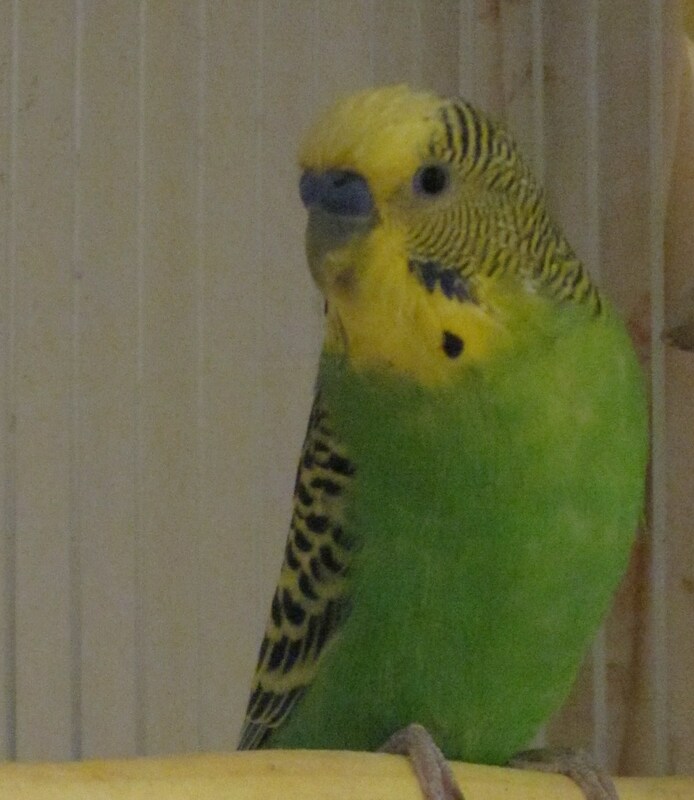 I often have to bribe Buzzy with some millet to get him to eat his veggies, or mix the puree into his cooked grains. If your bird likes bird bread, you can add pureed or finely chopped veggies to the batter before baking. Sweet potatoes are great for this. It can sometimes take several months for your bird to accept a new food, so don't give up, and continue to offer some form of fruit and/or vegetable almost every day (daily is best). Good luck! How long should I leave the vegetables and fruit out for my pet bird? 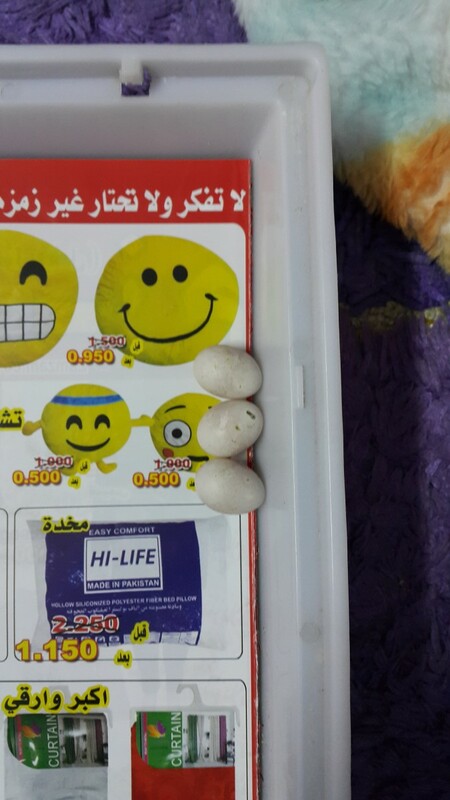 My budgies will only eat them if they are out for a while so they get used to it. Most fresh fruits and vegetables should be removed from the cage within an hour or so. 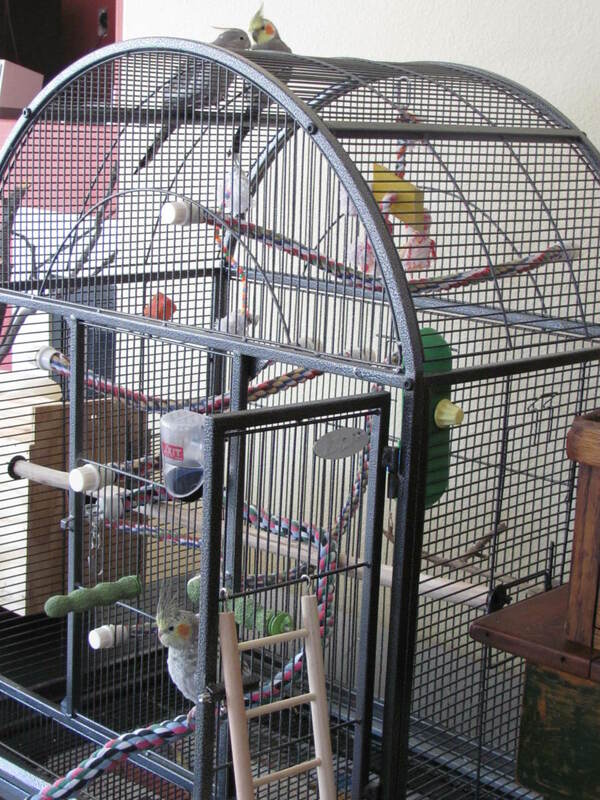 If your birds won't eat them within that time frame, you may want to try freeze-dried veggies and fruits instead, because they can stay in the cage all day. Look for the ones that don't have any added sugar or preservatives. Karen's Naturals is a good brand, and many online bird stores offer their own versions. 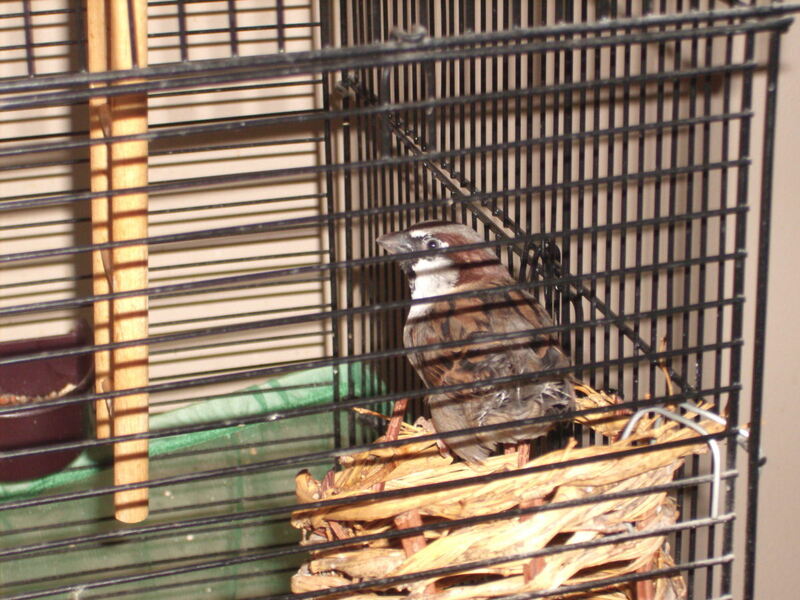 Hi, i want to buy a bird since while, this article is very informative and they seem very sweet. great hub. I have two albinos. They from day one were hand trained. A person i knew hurt one and for three months after had no controle of either. A couple of days back . Witherpen started coming out and near me. Whith just moments ago after 4 months landed on me. Hi, my gcc just ate some strawberries that we didn't know had mold on them? 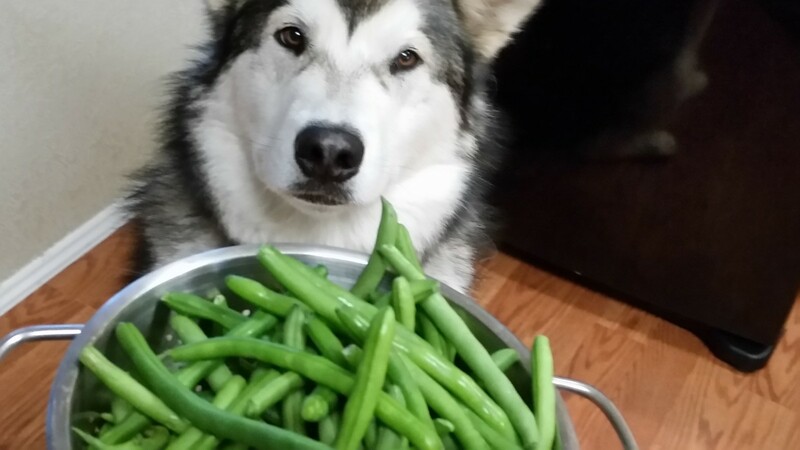 We're not sure if he actually ate them or if he just tore them up. What should we do? Haha, yeah, some birds love to eat anything! Hi Jen, this hub is filled with all good information to help any bird owner to give their bird a well rounded diet and with the right fruits and vegetables, awesome job. Bird bread is just a bread treat that can be made for pet birds. You can either get mixes from bird food companies (my bird prefers Harrison's brand), or make it from scratch. It was the first non-seed food I was able to get Buzzy to eat! Jen, what is bird bread? You did a nice job with this hub and I like your bird's pics. 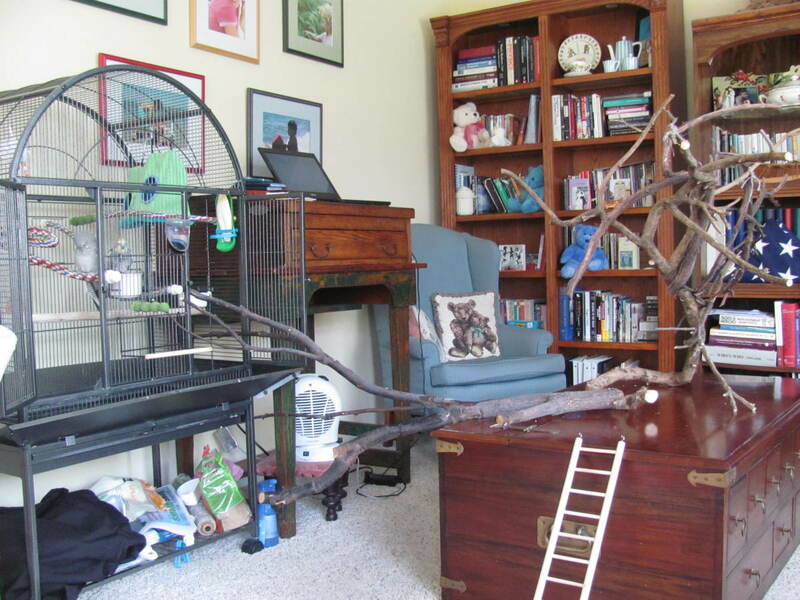 I have never owned a bird, and it would not be a good thing how I work. I wouldn't want to be gone that long with a bird.